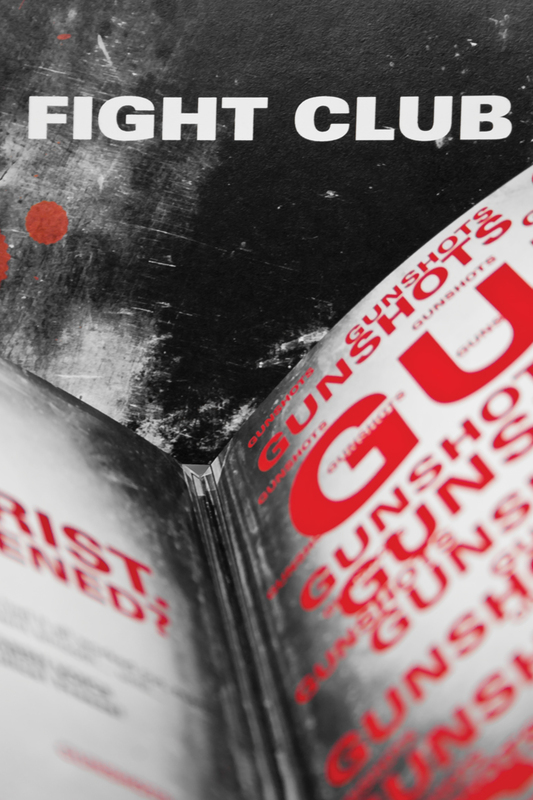 This book was based off the script for the movie Fight Club. The book uses primarily type and some graphics to deliver the story in which it was intended. The movie is very chaotic but yet has a structure. The book has this same idea and is presented to the viewer in this same fashion.